EDINBURG — Trailing Texas Tech 24-19 in the third set of Friday’s match, the UTRGV volleyball team staved off four consecutive set points to force a Red Raiders timeout. Each successful rally sent the players on the court and the volleyball program record crowd of 2,176 fans into a frenzy. Texas Tech came out of the timeout with a block to take a 2-1 lead, eventually winning the match in four sets 25-19, 20-25, 25-23, 25-17. The loss drops UTRGV to 8-5 with just one match remaining in a challenging nonconference schedule. But more than that, the game was a reminder of how UTRGV’s program has grown under coach Todd Lowery to be capable of hanging with a Big 12 opponent in front of a raucous home crowd. UTRGV’s attendance has steadily increased in the four years since Lowery took the helm, from an average of 468 in 2015, to 658 in 2016, to 738 in 2017 to 1,144 through the first four matches of the current season. Winning has certainly helped spark interest, as the team went from 12-19 in 2015, to 21-14 in 2016, to 17-12 in 2017. Lowery credited his players for all they do off the court, including community service, helping with local volleyball clubs and things as simple as befriending other students on campus. WAC Preseason Player of the Year Ragni Steen Knudsen was UTRGV’s standout on Friday, finishing with 19 kills against one error — picked up in the closing points of the final set — for a .375 hitting percentage. The attendance figure of 2,176 marks the highest turnout to any UTRGV sporting event since Feb. 18, 2017, when 2,234 fans entered the Fieldhouse to watch the men’s basketball team play New Mexico State. Friday’s milestone was just another step in a busy week for Lowery. 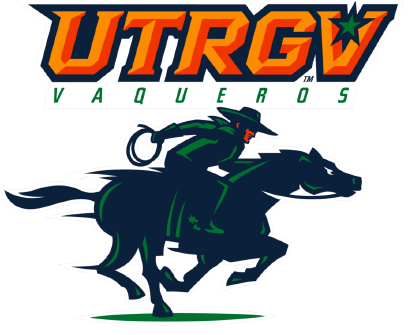 UTRGV knocked off No. 15 Baylor last Saturday in Waco, then earned a home win against Texas A&M-Corpus Christi on Tuesday. Lowery said it was only 10 hours after the match that his wife gave birth to the couple’s second child, Jordan. Lowery was back on the sideline to coach UTRGV to a win against Texas Southern on Friday afternoon before the evening loss to Texas Tech, and he’ll return at 12:30 p.m. today as his team closes the UTRGV Tournament with a match against Houston Baptist. Then, Lowery can celebrate his son Braxton’s birthday on Sunday. Oh, and UTRGV is hosting a pair of important recruits this week, too. Part of Friday’s record-setting turnout can be attributed to Texas Tech freshman Audrey Smith, a graduate of Sharyland Pioneer High School in Mission. One group of red-and-black clad fans brought a life-size piñata of the Red Raiders mascot, while another held up letters spelling out W-E love A-U-D-R-E-Y, with the “love” represented by a heart-shaped cutout. During a timeout, Smith made the shape of a heart with her hands and pointed to her fans. Smith had appeared in just four of the team’s 42 sets entering Friday’s match and did not take the floor until the final point, when she was given the opportunity to serve the match out. She admitted she was nervous but added that she always focuses on being patient and prepared during matches. This story has been updated to reflect that Friday was UTRGV’s largest crowd since 2,234 fans attended a men’s basketball game against New Mexico State on Feb. 18, 2017.